Christopher Kane doesn’t need my help being a success, he has enough of his own! 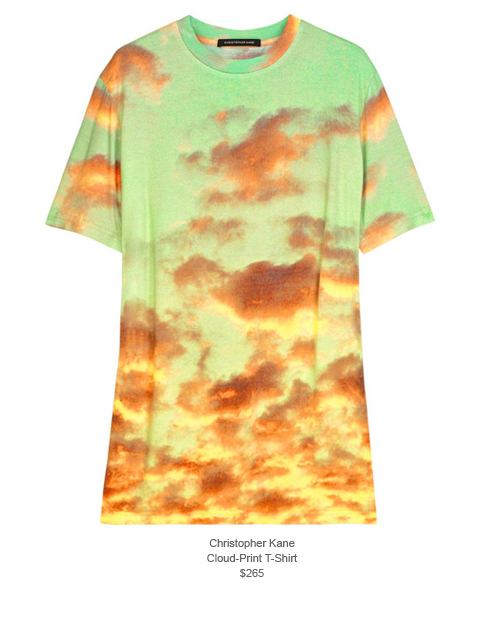 lol But I’m no fashion flop and I know teeshirt love when I see it… and I LOVE this Cloud Print Tee… NOT price friendly at $265 but OH so pretty! Previous PostTank you, we LOVE you.Next PostLOHAN LEGGINGS. Aren’t we over this?! ?